Hows your 2013 going so far? You feeling good about your resolutions and what not? You want a nice, easy, healthy recipe? Avocado is full of all kinds of healthy good fats and what not (don't shy away from the word fat, you need it!). In general, I don't particularly care for avocado in things, but I DO like guacamole. And this is the most fresh tasting guacamole you'll probably ever have! And it's fairly easy to customize according to your own tastes. Think it needs a little more garlic? Throw some in there! Do you prefer the pure, clean taste of avocado? Leave some of these ingredients out! No big! It's your life, eat your guacamole how you like! And then be all proud of yourself, like, "Yes...I make my own guacamole. And I HAVE lost weight, thank you for asking!" Adapted slightly from Macaroni and Cheesecake's "Fresh from Scratch Guacamole"
Pour lime juice into a medium bowl. 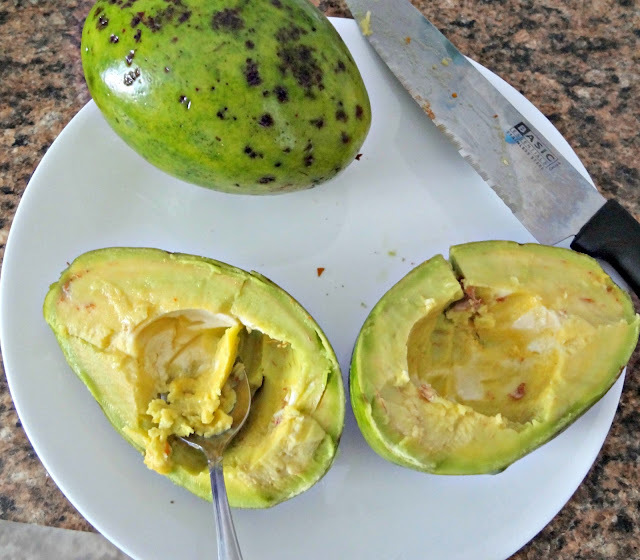 Spoon avocado out of the skin and place in the bowl. Mash with the lime juice to desired consistency. Stir in all the remaining ingredients and seasonings. 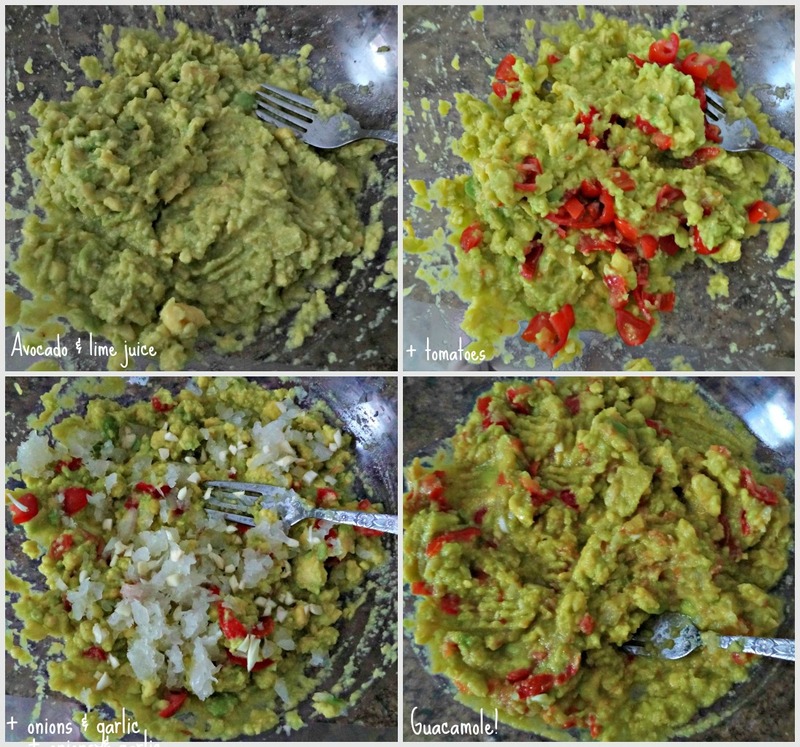 To prevent browning, spray the top of the guacamole with cooking spray. 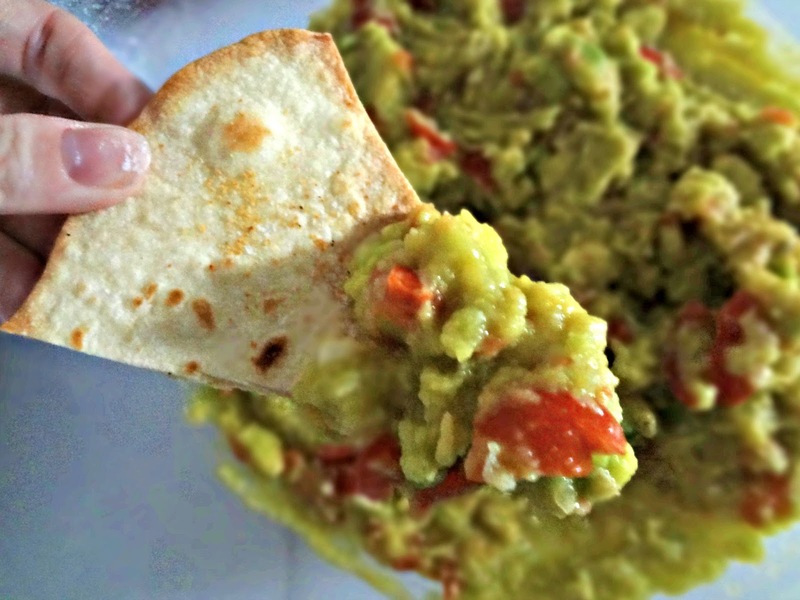 Serve with tortilla chips (or however you want to use it)!